No hammocks as they literally last 24 hours and weirdly all that is left is the tabs! They have 5 sputniks though! 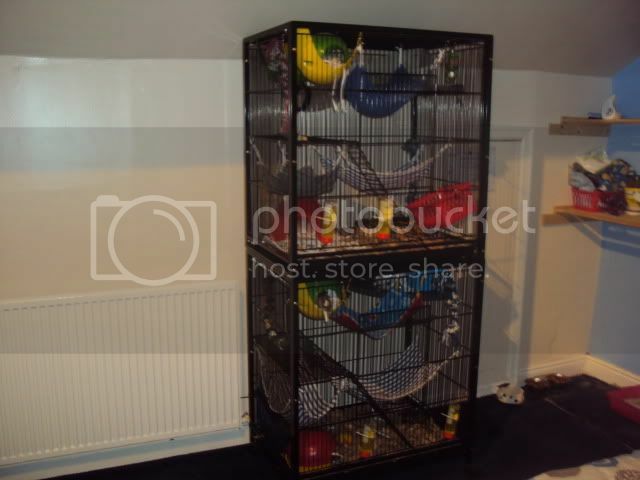 After telling my OH that I would have no more than 2 cages, I've bought another abode just waiting for the gorgeous babies to go in it! My Brand new Abode, which only arrived today. Home to 3 girls. 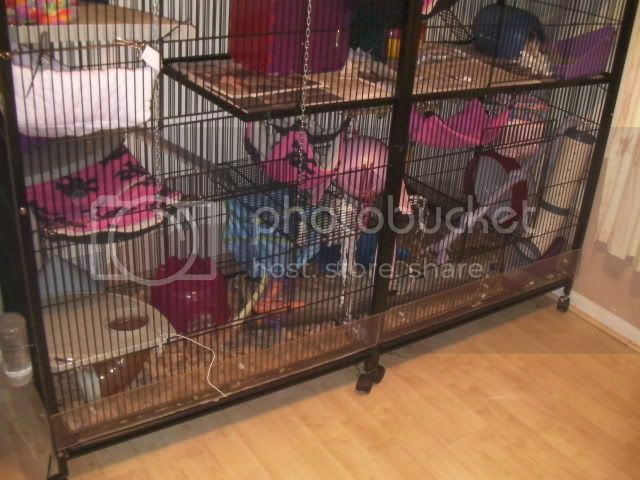 This is my Abode tower! My OH sawed the legs off one Abode and bolted it on top of another. 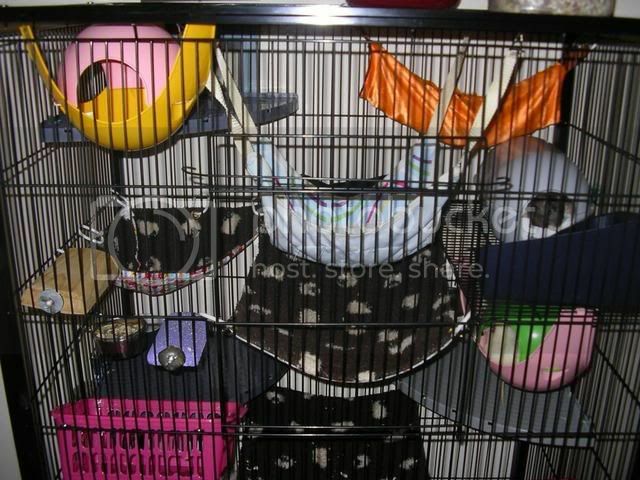 It's two seperate cages still it saves space though! ^ That is cool! 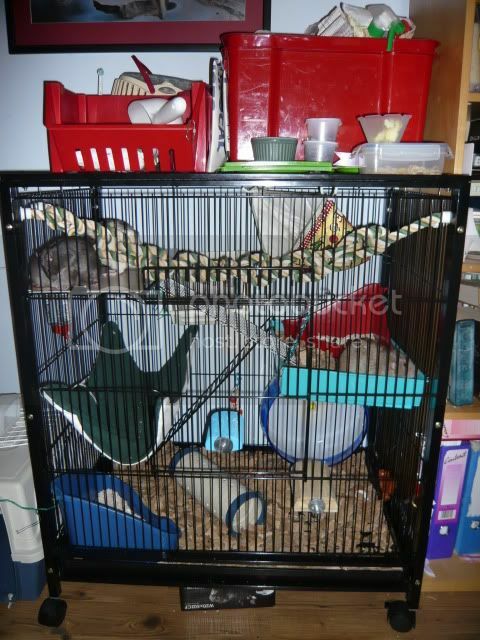 I so need to do that and get another 3 rats. 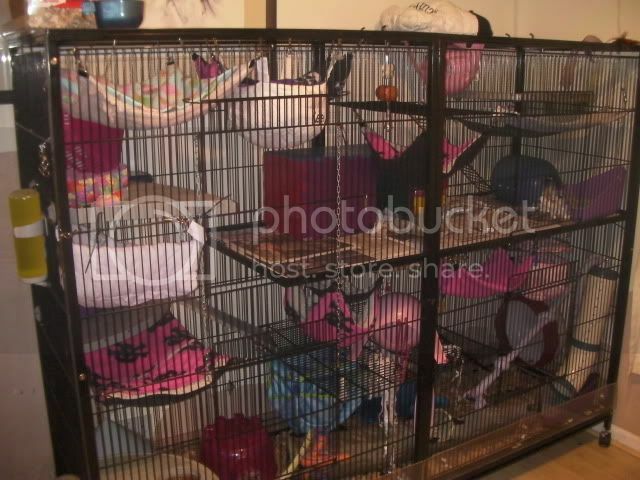 Anyway, my cage as of last week. 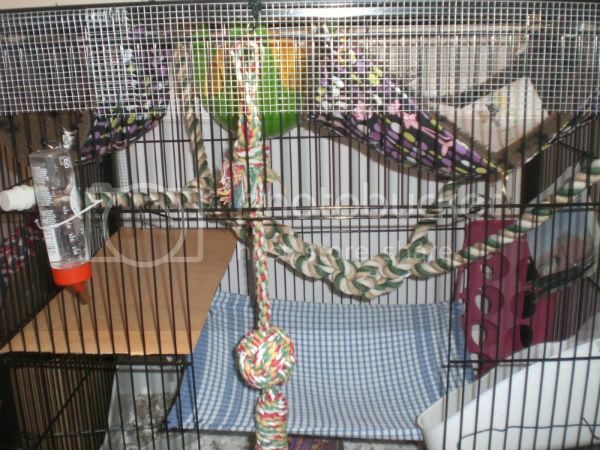 No more yellow hammock as the little monsters chewed all the strings off, took it into their bed and made a nest out of it. 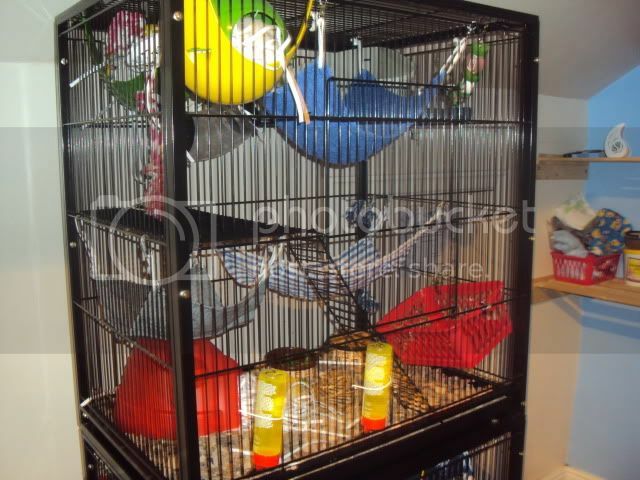 Since last time I've added a parrot ladder thing that hangs from the roof, a litter tray, and a brick which helps them reach the water bottle and helps keep their toenails short. 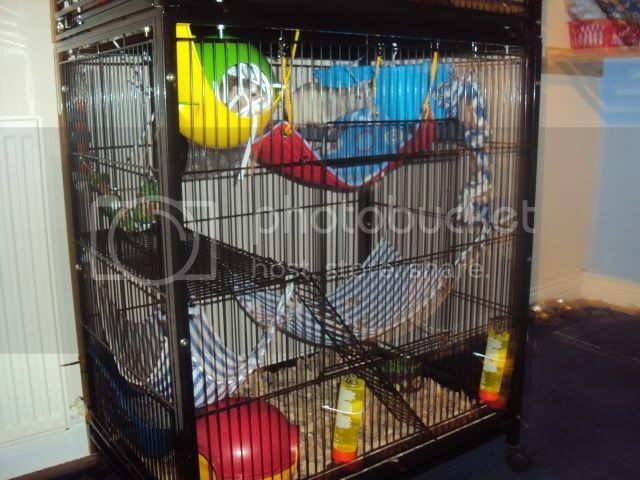 Hi, this is my old Abode but I still love it and it still looks smart ! 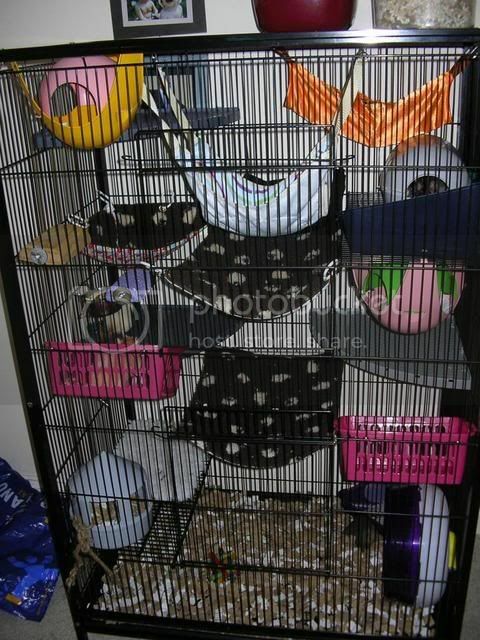 It is home to five of my girls. This is a closer look inside. You can see the girls too. 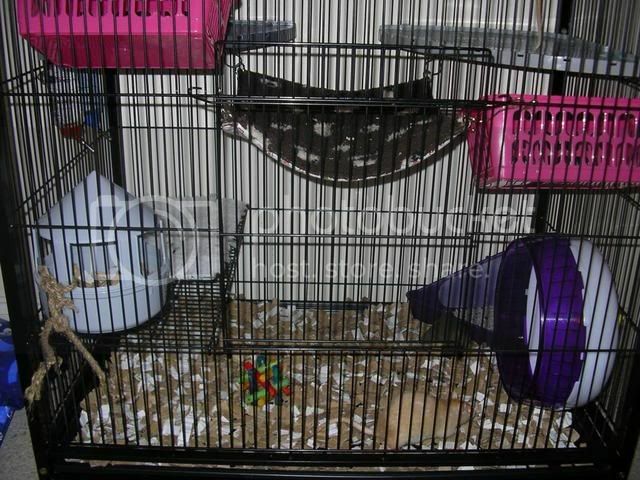 The little blue girl in front is Francine, the hooded is Prudence, the brown Berkshire is Amabel and the other two dumbo twins Phoebe and Fru-Fru. 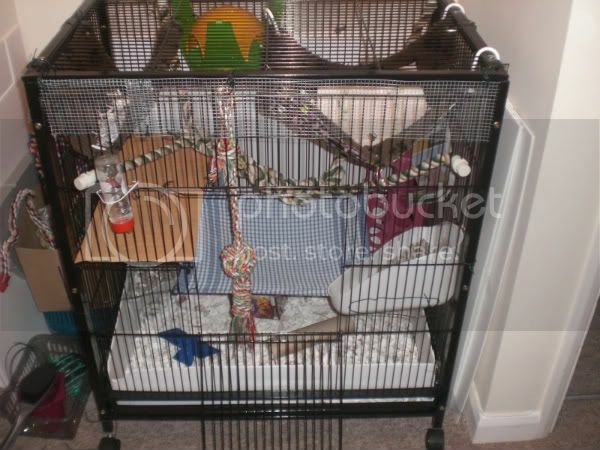 Current Abode setup for two mature boys and two new babies!